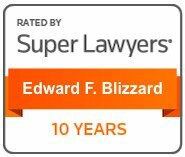 Edward “Ed” Blizzard is a skilled litigator with more than 40 years of experience. Mr. Blizzard has been recognized by his peers and national organizations for his resounding legal successes for many years and he continues to bring the highest level of legal excellence to clients. Mr. Blizzard has been at the center of some of the largest pharmaceutical injury verdicts and settlements in the country and has successfully taken on some of the world’s largest corporations, including , Merck, Pfizer, Johnson & Johnson and Dow Chemical. He has obtained billions of dollars in settlements and verdicts and is widely known by his peers as an industry expert in mass tort litigation. Mr. Blizzard began his mass tort litigation work when he represented hundreds of women who had been injured by defective silicone breast implants. He also served as counsel to the Tort Claimants in the Dow Corning bankruptcy which involved nearly 200,000 victims worldwide and he was a lead negotiator of the landmark settlement of $3.2 billion. Over the next decade, Mr. Blizzard tried cases negotiated major settlements over once popular diet drugs and supplements Fen-Phen and Metabolife. These cases provided compensation for thousands of victims who suffered serious injuries from these dangerous drugs. Mr. Blizzard was also part of a six-member committee that negotiated a $4.85 billion settlement between Merck and nearly 27,000 patients who suffered medical problems while taking Vioxx. Over his career, Mr. Blizzard has been appointed to leadership positions in litigations regarding Pelvic Mesh, Paxil, Zoloft, Zofran and defective hip and knee implants.. Mr. Blizzard uses his depth of experience to help current clients hold negligent manufacturers responsible for their faulty products,. Mr. Blizzard is currently focusing his practice on a wide number of pharmaceutical and medical device cases including IVC Filters, hernia mesh, breast implants, joint implants, Fentanyl, Valsartan, and talcum powder. Mr. Blizzard’s work has garnered widespread media attention from prominent media outlets such as, The New York Times, The Wall Street Journal, Bloomberg and ABC News. Additionally, he has appeared on CNBC’s Squawk Box and CNN Financial News. Mr. Blizzard is a member of the Million Dollar Advocates Forum, the Multi-Million Dollar Advocates Forum, the Litigation Counsel of America and the American Board of Trial Advocates. Mr. Blizzard has served on the Board of Governors for the American Association of Justice and is a member of the Texas Trial Lawyers Association and the Houston Bar Association. He is Board Certified in Personal Injury Trial Law by the Texas Board of Legal Specialization, a distinction granted to less than 10% of lawyers. He is currently licensed to appear before the U.S. District Courts for the Southern and Eastern Districts of Texas, the Fifth Circuit Court of Appeals, the Eleventh Circuit Court of Appeals, and the U.S. Supreme Court. 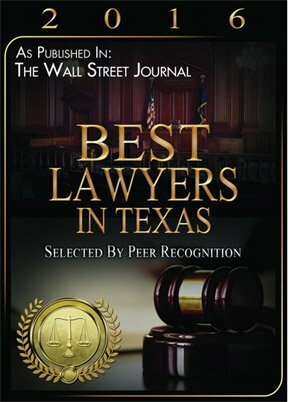 Mr. Blizzard has been named among The Best Lawyers in America and is listed as a Texas Super Lawyer. Appointed to the Plaintiff’s Steering Committee,MDL No. 2342, In Re: Zoloft (Sertraline Hydrochloride) Products Liability Litigation; in the United States District Court for the Eastern District of Pennsylvania, by the Hon. Judge Cynthia M. Rufe. Appointed to the Plaintiff’s Steering Committee,MDL No. 2187, In Re: C.R. Bard, Inc., Pelvic Repair System Products Liability Litigation, in the United States District Court for the Southern District of West Virginia, by the Hon. Judge Joseph R. Goodwin. Appointed to the Plaintiff’s Steering Committee,MDL Docket No. 1:10 md 2197, In Re: DePuy Orthopaedics, Inc. ASR Hip Implant Products; in the United States District Court for the Northern District of Ohio, by the Hon. Judge David A. Katz. Appointed to the 5-member Committee to negotiate $1.2 billion settlement in MDL 1401, In Re: Sulzer Orthopedics Inc. Hip Prosthesis and Knee Prosthesis Liability, in the United States District Court for the Northern District of Ohio, by the Hon. Judge Kathleen O’Malley. Appointed to the 6-member Negotiation Plaintiff’s Committee, MDL 1657, In Re: Vioxx Products Liability Litigation,in the United States District Court for the Eastern District of Louisiana, by the Hon. Judge Fallon. Chair of the Plaintiff’s Steering Committee, MDL 1598, In Re: Ephedra Products Liability Litigation, United States District Court for the Southern District of New York. Member of the Texas State Court Steering Committee, Silicone Breast Implant Litigation. Steering Committee Member, MDL 1203, In Re: Diet Drugs (Phentermine, Fenfluramine, Dexfenfluramine) Products Liability Litigation, United States District Court for the Eastern District of Pennsylvania.